Apple’s fist announced about new thirteenth macOS Sierra (10.12) Beta developer unveiled on June 13, 2016 WWDC at San Francisco. No more hardware upgrade or new devices named announced in WWDC, So many tech users are disappointed with it. But Software features are not too bad, now macOS more smart that’s works with other Apple Devices for unlock, copying to note, Access apps and documents using siri command, Photos app works new iOS 10 Photos app. Are you keen for test New macOS Sierra on your Mac device (Sure about which Mac supported macOS Sierra)? Wait for Public beta will be released in July 2016 (beta.apple.com). Here I am talking about how does new macOS Sierra work on Mac device in detailed also buy using other Apple Devices (Apple Watch, iPhone, iPad). Apple made possible updates that are really helps to all usual or full time Mac users. Starting from unlock Mac device remotely through Apple Watch. No type password/ Retype on wrong password fill for unlock your Mac System, Now securely you can unlock or start directly looks like password free, Still under full password protect by control all from your wrist apple watch remotely. Time saving, Secure auto unlock Mac really great for next generation and time. Same like iOS 10, Mac device auto adjust screen intensity and behavior after turn on night shift mode on MacOS System Preference. 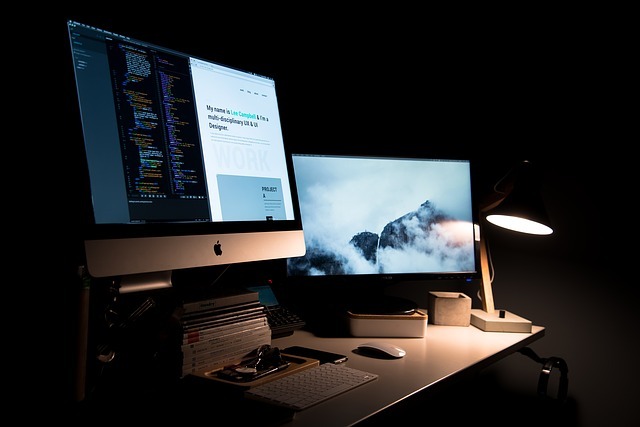 See how to use Night Shift mode MacOS Sierra. And auto manage itself. Copy Text, images and Video directly from your iOS device to Mac. From your iOS device’s Browser, Web Pages, Note app and Mail app just select text, image or video then copy that and Finally past directly to your Mac device as natural. Not needs of any cable connectivity, Software or App. Officially you can do from iOS 10 install devices to new macOS Sierra running Mac devices. Access all documents and folder across all apple devices (one Mac or Another, iOS to Mac and Vice versa) from anywhere using iCloud Drive. Don’t let down or trust other third party online cloud, just try “iCloud drive” secure apple free service across all devices. When your disk is full, Storage optimize is essential and irritating task that we never want to do, Behind this it’s create many problem on speed, Space problems. Now apple give amazing option that consumes extra, buggy space on your Mac by duplicate files, not used files. By keeping older files to iCloud Drive, Make extra space for new files. And also cleaning browser caching, Recycle big files. Apple pay present at all online payment system, Local stores (Pay with Apple Watch or iPhone), iOS app. But not pay in browser (Now you can pay with Apple pay easily in Mac’s browser using iPhone touch ID). Safari: Multi tab open in separate windows just like Google chrome. Watch video along with your work from any screen, Apps and Browser on screen by where you stick. After 5 years on iOS device, Siri also available for more help on your Desktop. Wake up siri by click on “siri icon” from bottom dock. More in macOS Sierra Siri Feature, Drag search result image to your document and put. New redesigned face recognition is interesting and very helpful for search photos or video in smart photos app just like iOS 10 photos app features. Note: Above feature for macOS Sierra announced by apple officially at WWDC 2016, Most of the final. Thank you, above are the genuine features for new macOS Sierra future, let’s comment me your ideas and share with your friends.